Everyone has their dream homes, the style can be difference, the location can be difference as well. Try to imagine that there is a house is built into the side of a cliff, what’s in your mind now? In reality, do you think its possible? 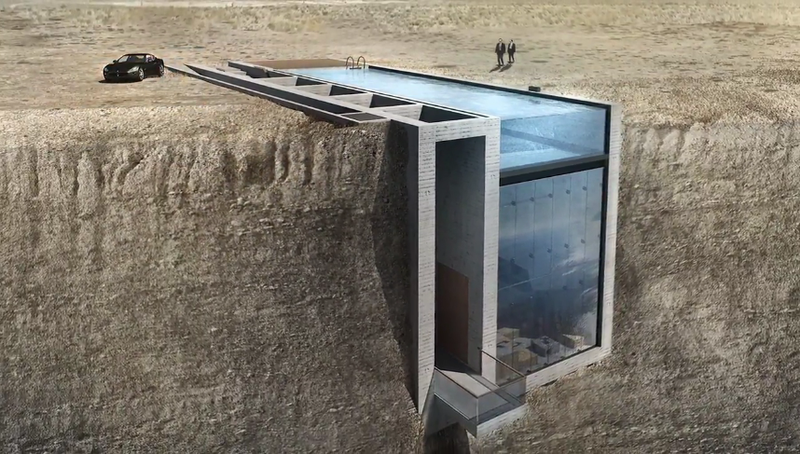 Well, there is a home called as Casa Brutale which is designed by Dutch practice Open Platform for Architecture (OPA), this home is wedged in a mountaintop, topped by an infinity pool that doubles as a skylight for the underground lair. OPA is currently is works to break ground Case Brutale in Lebanon in 2016.